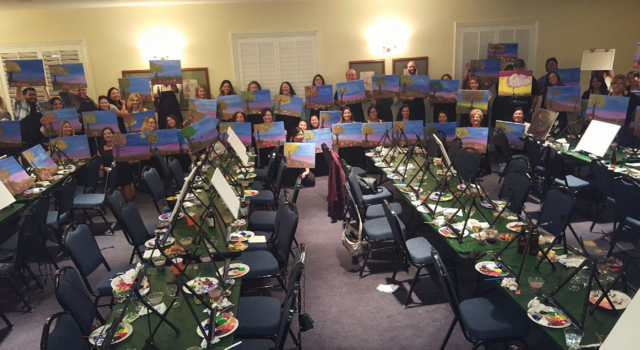 Enjoy a customized, private painting party brought to your doorstep! Great for corporate events, team building, birthdays, bachelorette parties, fundraisers, communities and more. Call 951.461.9200 for availability, pricing and specifics!